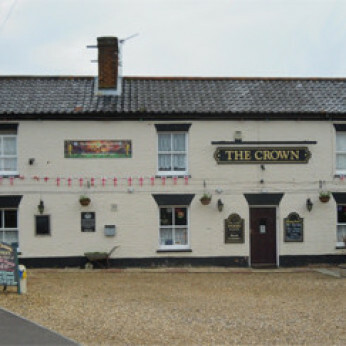 This page shows the information that Crown have uploaded about the food they serve in the pub or their restaurant. If you need further information or would like to book a table please contact the pub on 01603 870964. Scampi, Steak & kidney pie, Steak, Curry, Butterfly pork lion, Various burgers. Treacle pudding, Sherry trifle, Chocolate fudge cake, Ice-cream sundae, lemon meringue. Above are just some of the items from our menu. Booking is advisable but not always essential. Kitchen opening times - Tues to Sat 12 - 2.30pm & 6 - 9.30pm, Sunday 12 - 4.30pm, Monday 7 - 9.30pm.